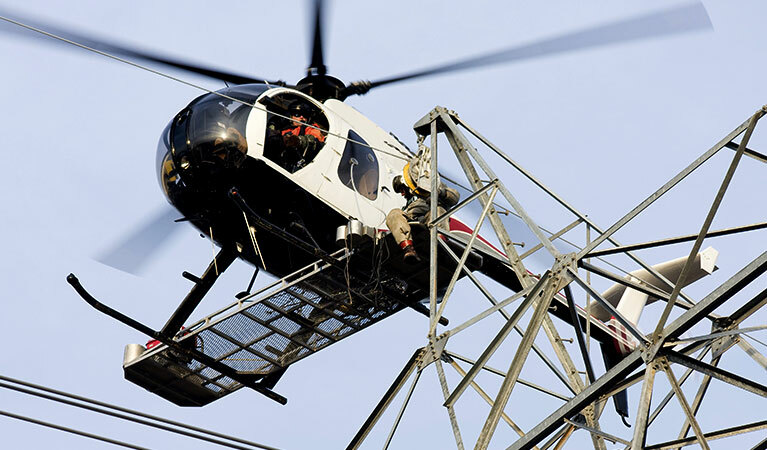 Have you ever watched a helicopter install transmission lines? It’s a fascinating mix of delicate sewing-like maneuvers performed by a helicopter hovering at least 100 miles above the ground. The helicopter threads nylon rope onto a pulley atop dangerously high wattage towers. An ordinary ground crane may have trouble accessing the location or the crane can’t get high enough to do the job. FairLifts can find a capable crew that can exceed your expectations in Nevada. Nevada enjoys a diverse topography, ranging from lowland deserts to soaring mountain ranges with elevations from 1,500 to well over 10,000 feet above sea level. Given these variations, working on transmission lines can be challenging, depending on the location. Nevada boasts industry in mining, cattle ranching and transportation. Much of the work for installing lines happens in remote, rural locations. Rather than wasting days and even weeks trying to install lines; FairLifts can arrange for a helicopter to get the job done safely, quickly and efficiently. FairLifts takes the hassle out of arranging for Nevada transmission line construction because we have the most knowledgeable customer service teams in the state. 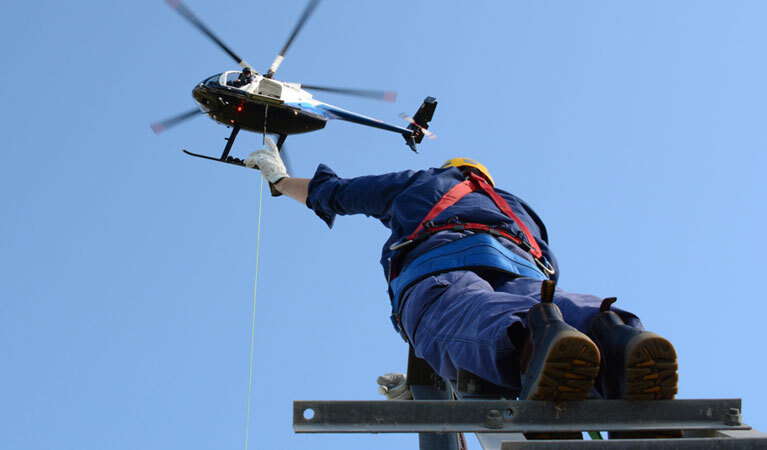 Our reputation for excellence and safety is known and respected throughout the construction industry and, based on your specifications, we can quickly connect you with one of our helicopter partners. Cut time and cost on those big jobs with a precision, heavy lift helicopter. Moving thousands of tons of metal cuts into a construction project budget if you’re not working efficiently. FairLifts arranges for heavy lift helicopters that cover more ground. When the call comes in for stringing wire, let a heavy lift helicopter do the job. Not only can these helicopters hover in place; but they can deliver crews, hardware and materials to the job site. That’s why FairLifts is the company of choice for utility companies. FairLifts can reserve a heavy lift helicopter for utility pole installs. Our network of helicopter operators have the logistical know-how to anticipate your needs. Experienced pilots with outstanding safety records know the Nevada terrain and can get the work done without wasting time or overlooking safety. Nevada Transmission Line Construction requires regular site inspections. High voltage wires can fall if not properly secured. Higher elevation, access to the site may be a problem. Right of way road access may be next to impossible. But with air crane technology, risks go way down. Getting crews and gear up a mountain to a mining location is not easy. Bad weather and tricky roads can block ground crews from delivering the goods. 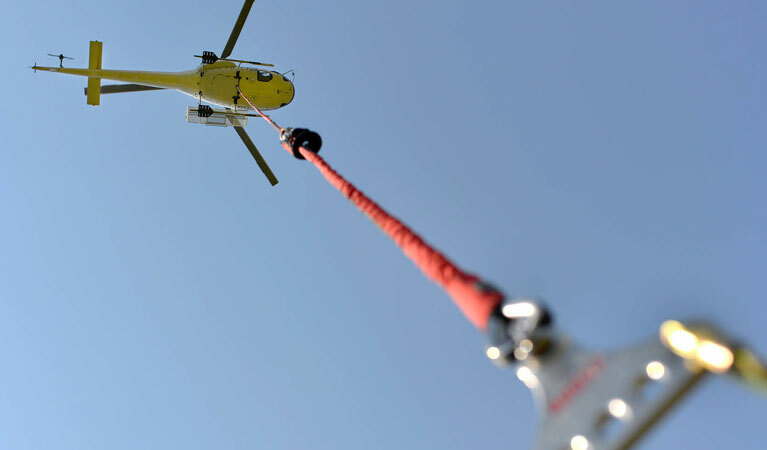 In a worse case scenario of an accident in a remote location, a heavy lift helicopter can be indispensable. Experts are standing by to get you a fast quote for your transmission line job in Nevada! FairLifts agents are available 24/7 to provide you with information regarding all of the utility installation services at your disposal via local operators. 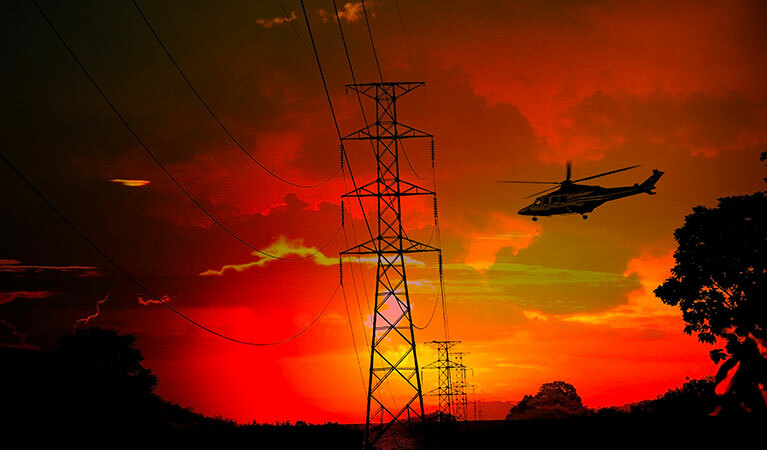 From Nevada transmission line construction to the simple movement of personnel to remote or offshore locations, we can coordinate your project's helicopter applications from start to fruition. Call us any time. We’re here to assist you.